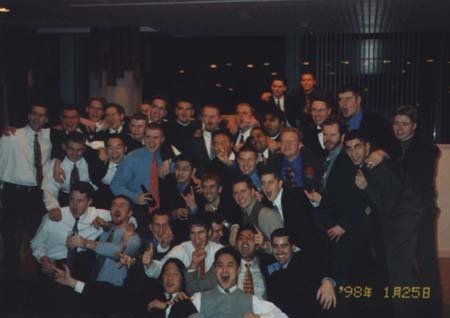 Sigma Alpha Mu, Delta Pi Chapter was founded at The University of Ottawa in 1989. Not only was Sigma Alpha Mu the first national fraternity on campus, but was and still is, the strongest fraternity on campus! The SAM house is located at 95 Henderson, Ottawa, just steps away from campus. The new Fraternity settled down to the accomplishment of the ideals which had prompted it's creation. It was its aim to prove to the outside world that criticism and objectives leveled against fraternities in general - specious though many of those arguments may be - were not applicable to Sigma Alpha Mu. The founders decided to plan and grow along lines different from those of existing fraternities. Taken from Sigma Alpha Mu's "Candidate Handbook" and the official Sigma Alpha Mu Home Page, www.sam.org. "...to foster and maintain among its sons a spirit of fraternity, a spirit of mutual moral aid and support; to instill and maintain in the hearts of its sons love for and loyalty to Alma mater and its ideals; to inculcate among its sons such ideals as will result in actions worthy of the highest precepts of true manhood, democracy, and humanity." 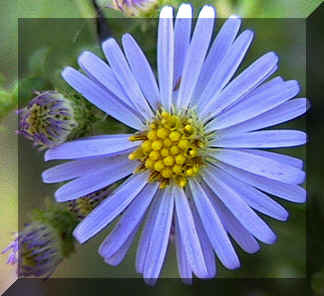 The Purple and White Aster is the official Fraternity flower. Webmasters: Stephen D. Lawrie, Hiep C. Ong.